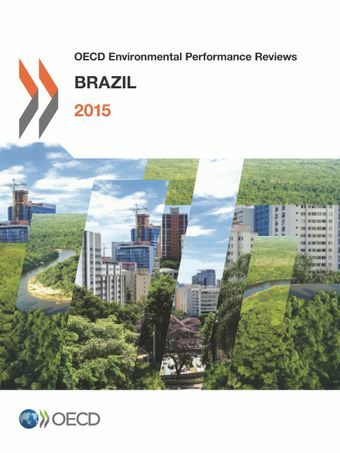 This report is the first OECD review of Brazil’s environmental performance. It evaluates progress towards sustainable development and a green economy, with a focus on conservation and sustainable use of biodiversity and protected areas.The OECD Environmental Performance Review Programme provides independent assessments of country progress in achieving domestic and international environmental policy commitments. The reviews are conducted to improve environmental performance, promote peer learning and enhance accountability. They are supported by a broad range of economic and environmental data, and provide policy-relevant recommendations.Each review cycle covers all OECD countries and selected partner economies. The most recent reviews include: Spain (2015), Poland (2015), Sweden (2014). The OECD’s first-ever Environmental Performance Review of Brazil draws attention to the strong progress made in reducing deforestation and emissions of greenhouse gases over the past 15 years. It also points out, however, that a decade of rapid urbanisation and economic growth have increased pressure on the environment, with severe water shortages in the southeast, soil contamination from inadequate wastewater treatment and rising air pollution. More people now have access to clean water, sanitation and waste management services, but regional disparities are large. The high share of hydropower and biofuels in the Brazilian energy mix helps keep the economy’s carbon intensity low; to that end, greenhouse gas emissions have dropped by more than 40% since 2000, thanks to the decline in deforestation, but emissions from industry and transport are nonetheless rising. The Review recommends Brazil do more to link environmental priorities with economic policies so as to ensure the sustainable use of its environmental resources. Brazil should strengthen implementation and enforcement capacity at local level to reduce the gap between ambitious environmental goals and policies actually implemented in areas such as public transport and waste management. Adjust energy taxes to reflect the carbon content of fuels and introduce taxes on pollution, waste and use of natural resources. Further streamline environmental licensing procedures and build administrative capacity. Explore opportunities for eco-tourism in its vast protected area network. Develop a framework law for payments for ecosystem services and better monitor their effectiveness. Develop a uniform system for collecting and managing environmental data. OECD Secretary-General Ángel Gurría presented the Economic Survey of Brazil and the Environmental Performance Review of Brazil in Brasilia during meetings with Brazil’s Finance Minister Joaquim Levy and Environment Minister Izabella Teixeira. This follows the launch on 3 November of the new OECD-Brazil Programme of Work, which seeks to further strengthen co-operation in various policy areas. Natural resources are essential to Brazil’s development: it is among the major global agricultural, minerals and oil producers, and hydropower generates most of its electricity. Protected areas extend over a large part of the country and deforestation in the Amazon has dropped remarkably, which in turn has helped curb greenhouse gas emissions. However, economic growth and urban, agricultural and infrastructure expansion have also meant increased energy and resource use and consequent environmental pressures. Quality and coverage of environmental services need to be further improved. While Brazil’s environmental laws are stringent, implementation and enforcement gaps persist. In the current context of a contracting economy, better integrating environmental objectives into economic and sectoral policies would help Brazil move towards a greener, more sustainable development path. Read more in the Highlights of the report.